Arvind Kejriwal (born 16 August 1968) is an Indian politician who is the Chief Minister of Delhi since February 2015. He previously served as Chief Minister from December 2013 to February 2014, stepping down after 49 days. He is the national convener of the Aam Aadmi Party. His party won the 2015 Delhi Assembly elections with a majority, obtaining 67 out of 70 assembly seats. Kejriwal is a graduate of the Indian Institute of Technology Kharagpur, and worked in the Indian Revenue Service as a Joint Commissioner of the Income Tax Department in New Delhi. Kejriwal was born in an upper middle-class educated family in Siwani, Bhiwani district, Haryana on 16 August 1968, the first of the three children of Gobind Ram Kejriwal and Gita Devi. His father was an electrical engineer who graduated from the Birla Institute of Technology, Mesra, and whose work led to many changes in the family's residence. Kejriwal spent most of his childhood in north Indian towns such as Sonepat, Ghaziabad and Hisar. He was educated at Campus School in Hisar and at a Christian missionary Holy Child School at Sonipat. He graduated from the Indian Institute of Technology in Kharagpur, majoring in mechanical engineering. He joined Tata Steel in 1989 and was posted in Jamshedpur. Kejriwal resigned in 1992, having taken leave of absence to study for the Civil Services Examination.He spent some time in Kolkata, where he met Mother Teresa, and volunteered with The Missionaries of Charity and at the Ramakrishna Mission in North-East India and at Nehru Yuva Kendra. In 1995, Arvind married Sunita, a 1993-batch IRS officer. She took voluntary retirement in 2016 as Commissioner of Income Tax in the Income Tax Appellate Tribunal. The couple has two children. Kejriwal is a vegetarian and has been practising the Vipassana meditation technique for many years.He is diabetic. In the 2013 Delhi Legislative Assembly elections for all 70 seats, the Bhartiya Janta Party won 31 seats, followed by Aam Aadmi Party with 28 seats. Kejriwal defeated incumbent Chief Minister, Sheila Dikshit of the Indian National Congress (INC), in her constituency of New Delhi by a margin of 25,864 votes. AAP formed a minority government in the hung assembly, (claiming support for the action gauged from opinion polls) with outside support from the eight INC MLAs, one Janata Dal MLA and one independent MLA.Kejriwal was sworn in as the second-youngest chief minister of Delhi on 28 December 2013, after Chaudhary Brahm Prakash who became chief minister at the age of 34. He was in charge of Delhi's home, power, planning, finance, services and vigilance ministries. On 14 February 2014 he resigned as Chief Minister after failing to table the Jan Lokpal Bill in the Delhi Assembly. He recommended the dissolution of the Assembly. 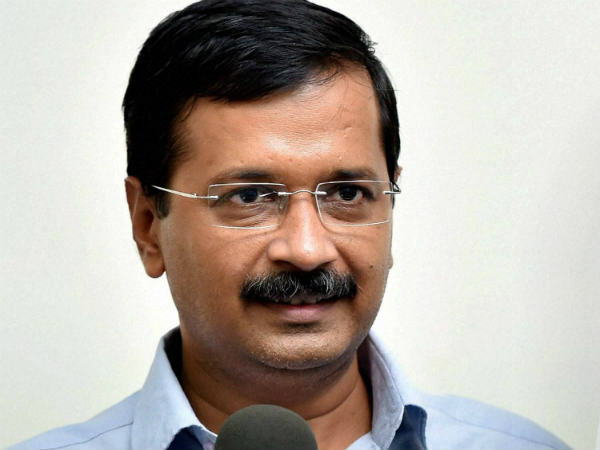 Kejriwal blamed the Indian National Congress and the Bharatiya Janata Party for stalling the anti-corruption legislation and linked it with the government's decision to register a First Information Report (FIR) against industrialist Mukesh Ambani, chairman and managing director of Reliance Industries. In April 2014 he said that he had made a mistake by resigning without publicly explaining the rationale behind his decision.